The trace elements contained in HAEMOLYTAN 400 are in the readily bioavailable organic complex form of IPALIGO®. 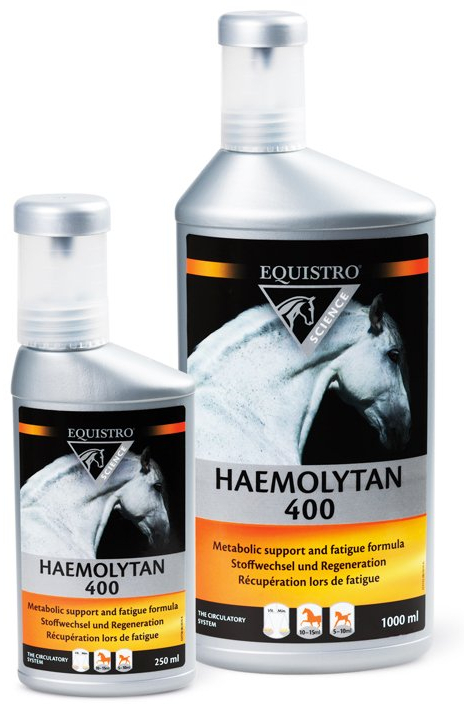 Increased demands on a horse‘s metabolic requirements from physical activity, pregnancy or birth can be supplemented quickly and easily with HAEMOLYTAN 400. 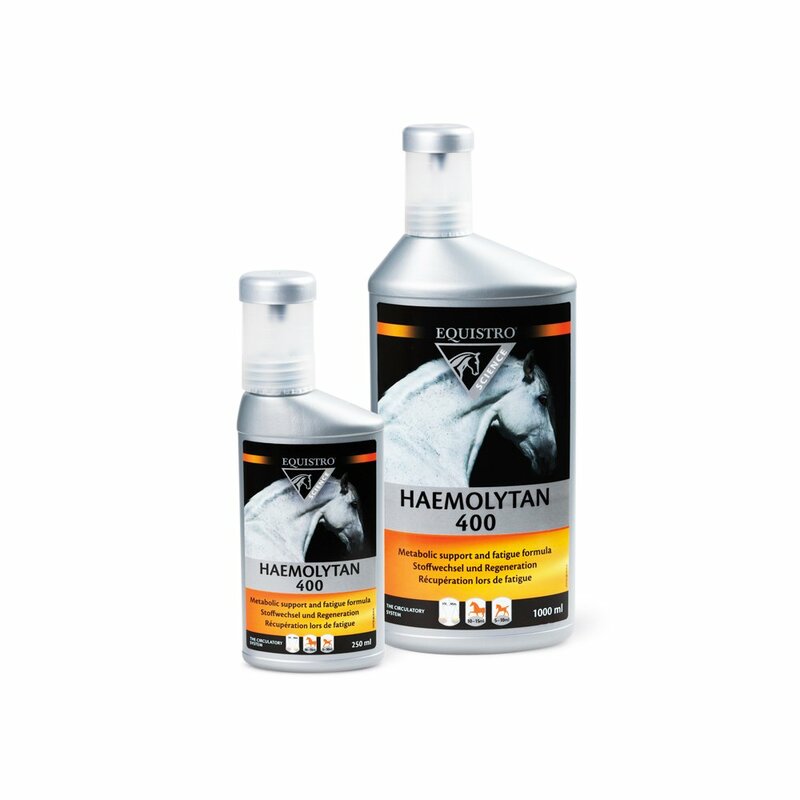 Adult horses Daily programme Weekly program Standard sized horses (500 kg) 10 to 15 ml per day 20 ml 2 to 3 times per week. local and international rules for competition and horse racing. There are currently no questions for Equistro Haemolytan For Horses - be the first to ask one!